Editor’s note: This post has been altered to reflect 23andMe’s new product offering. en as food or as a deadly invader. Research also showed that breast-feeding, which increases this important group of intestinal bacteria — called bifidobacteria — may protect against the disease. This finding is related to other recent research that suggests versions of SNPs associated with increased risk for autoimmune diseases may come from immune defenses originally evolved to protect people from infectious organisms. This means that the very same genetic adaptations that protected our ancestors from harmful pathogens may now have undesirable consequences in our “cleaner” modern societies where those pathogens are no longer common. For people with celiac disease, the simple act of eating food with gluten – a protein found in wheat and other grains – triggers an immune response that mistakenly attacks their digestive system. The disease strikes people who inherit certain versions of a protein called HLA-DQ, one of the proteins the immune system cells use to mark foreign proteins for attack. The versions of HLA-DQ that are associated with celiac disease bind to gluten as if it were a threat; this mistaken immune response damages the villi lining the small intestine, undermining the absorption of nutrients and ultimately causing symptoms ranging from stomach aches and diarrhea to iron deficiency. While 30-to-40 percent of all people have the versions of HLA-DQ that increase the risk for celiac disease, only about one percent of the U.S. population, or about two million people, actually gets the disease. While genetic proclivity makes us susceptible, some kind of other immunological trigger is required to kick the disease into gear. Along with certain genetic markers, the risk factors for celiac include having European ancestry, a family history of celiac disease and a personal history of other autoimmune disorders. Celiac disease should not be confused with other problems related to gluten, namely wheat allergies and gluten intolerance. Wheat allergies trigger responses that range from hives to sneezing and wheezing. Unlike celiac disease, gluten intolerance triggers a response that comes from innate immunity — the body using its normal immune response to repel gluten as if it were an invader — causing a direct response in the form of inflammation inside and outside of the digestive tract. Celiac disease comes from adaptive immunity, a more sophisticated system in which genes activate specific cells to fight foreign bodies. With celiac disease, one’s own tissue lining of the small intestine is attacked as a result of this adaptive immunity. 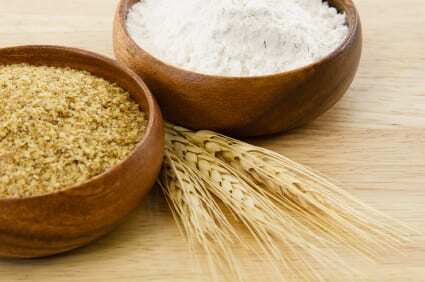 The only treatment for celiac disease is adherence to a completely gluten-free diet. Luckily this completely alleviates symptoms for most people with the disease and allows the damage to their intestines to heal. Unfortunately, we don’t have much control over the microbes in our environment, but we can at least educate ourselves to recognize the symptoms of Celiac Disease if and when they appear.